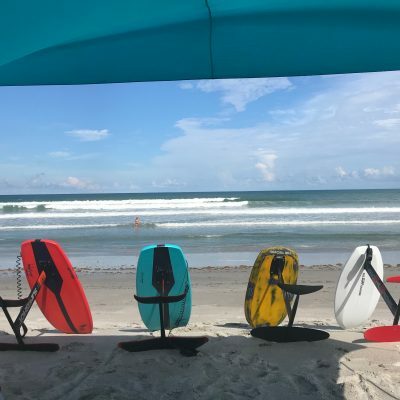 This lesson is designed to get you up riding and comfortable on a twin tip Kiteboard, Foilboard, Wakeboard or Surfboard. Riding the board behind a jet-ski takes away all the stress of learning the kite and board skills at the same time. This allows one to practice in open water free from all obstructions with the steady, predictable pull of the ski. Learning to kite is all about marrying your kite skills with your board skills. We find that some students without board sports backgrounds develop their ability with the kite faster than with the board. This lesson is designed to save you time, money and frustration by amplifying your board learning time. 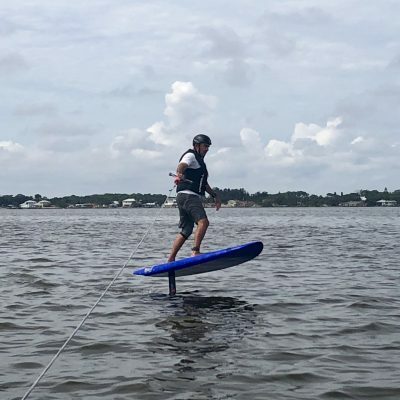 This Lesson** is a great option for all Wakeboarder, Surfers, Paddleboarders, Kiteboarders, Windsurfers and others wanting to learn how to ride a hydrofoil*. 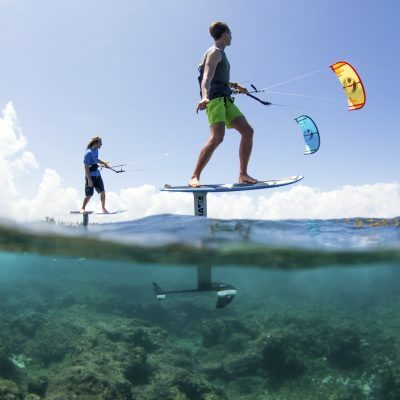 Whether ones goal is to learn how to learn kite-foiling, wake-foiling, surf-foling, windsurf-foiling or SUP-foiling; this is a great starting point. It is a great foundation for any foiling activity. WE WILL PROVIDE THE FOIL AND BOARD!! Board Skills Lessons are normally given on the north side of the 520 Causeway across from the famous 520 Slick. – Have a great time getting towed around by our powerful jet-ski! 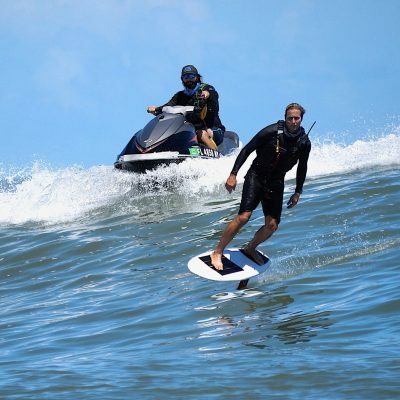 * Hydrofoiling using a lifting surface, or foil, that operates in water. They are similar in appearance and purpose to aerofoils used by airplanes however the lift is created in the water instead of the air. 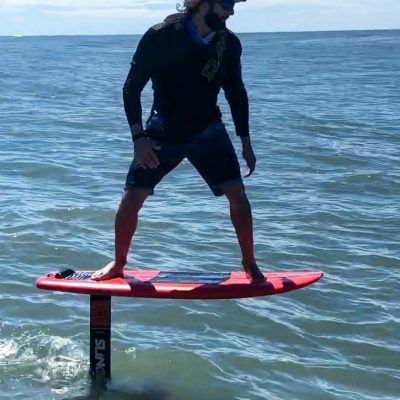 As a hydrofoil (or wing) gains speed beneath the board, the hydrofoils lift the board and rider out of the water. Being above the water greatly decreases drag. This allows for increased speeds, better angles upwind while sailing, the ability ride ocean swell and just an overall amazing feeling. It’s like riding a magic carpet! 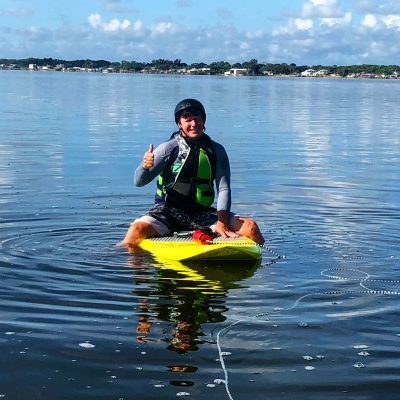 ** Students who wish to take hydrofoiling lessons should already have proficient board skills from sports such as kiteboarding, surfing, wakeboarding, standup paddleboarding or snowboarding. Students with decent board skills going into the lesson typically take 1-2 lessons to feel comfortable with the feeling of foiling.